Guest blog by Mark Earls, who will be presenting a webinar on this topic on Thursday April 16 – click here to register. The last decade has been boom-time for insights professionals who embrace innovation. Whereas back in the 2000s, many in our community were still angst-ing about the impact of doing online surveys and groups on the quality of the data; today, we are awash with new techniques and new frameworks (from neuroscience to semantic analysis, from agent-based modelling to emotional response). Just look at the changing agendas of any of the many insights conferences around the world to see how far we’ve come. Some of this flourishing is down to the continuous outpouring of new insights into our specialist subject (human behaviour) from the cognitive and behavioural sciences which has called into question many of the assumptions behind established research practices. Equally, changes in available technology are also driving innovation (some of it, it must be said, seem more like technology in search of a solution, than market-led innovation). And of course demand-side pressures continue to draw out new practice: the need to provide more powerful techniques to “get behind” the consumer and their unreliability as witnesses to their own lives (e.g Zaltman’s critique in Inside the Mind of the Consumer). And to do so faster and and cheaper. The flow of innovation doesn’t seem to be slowing either – the insights hosepipe continues to spray us with new stuff. Each and every week, sites like GreenBook document more striking new ideas. And there is still a lot of work to be done in making the science work for us: neuroscience is still relatively young as an academic discipline; it still has a long way to go to demonstrate a reliable link between observable physiological response and real world behaviour. For my own part, having championed the social aspect of human nature for more than a decade (back before it was cool! ), I believe we’re still too stuck on looking at what goes on between an individual’s ears and not open enough – ideologically and in terms of practical technique – to the power of what goes on between an individual’s ears. We still cling – willingly or otherwise, to the notion that insight is somehow to be found inside individuals (in their brain or similar), rather than in the space between them. 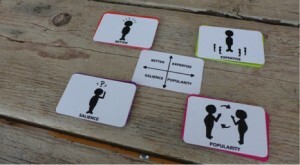 It’s not that all choices are social but – as great work by the likes of the HM Government’s Behavioural Insights Team (“The Nudge Unit”) and Ogilvy Change have shown – what others are doing and thinking and saying remains a central heuristic used by all kinds of people in all kinds of situations to make their choices. So far, so good. However, my challenge is of a very different nature: have we – in our laudable search for better technique and technique better grounded in contemporary science’s account of how people behave – missed a bigger opportunity? Especially at scale. This is what you’d expect from an innovative insights professional of the last 10 years. But is it the most useful approach for the business paying for it? Copy Copy Copy argues that the most powerful innovations are not to be found in sweating the singular problem but by seeing individual things and problems as instances of other things and bringing solutions from distant sources to new contexts. For example, when David Brailsford took over the British Olympic Cycling team, he didn’t just sweat the track and road performance issues from the perspective of cycling (although as a big fan of Moneyball and sports stats, he did examine them that way at length). No, his strategy of “aggregating small advantages” was based instead on identifying problems of a different sort – sleep problems, health problems etc etc. In each case, once the problem is identified – once you know “what kind of thing” you’re dealing with, it’s easy enough to work out where to look for good solutions. Brailsford is no expert in epidemiology but recognising he had a epidemiology-shaped problem was essential to finding and applying the best expertise to his cycling team. Similarly, when Professor Martin Elliott of Great Ormond Street Hospital sought to improve the outcomes for his tiny heart-surgery patients, he looked to F1 rather than other medics, because he saw the problem as a handover one: from an exhausted theatre team and their machines and wires and so on to the ICU team. Ferrari rather than the Lancet. Again asking “what kinda” questions was an essential step in him garnering insight. What kinda “what Kinda” ? Fig 1, what kinda thing? The question is how this challenges insight research practice: what happens when the big questions the team is asking of a market or a behaviour are “kinda” questions, rather than “singular” ones (how big, how tall, how small etc)? We have undoubtedly created a host of much better practices to reflect better the descriptions of how people behave that contemporary science gives us (and harnessing the technology now available to us). And we should be proud of our achievements. 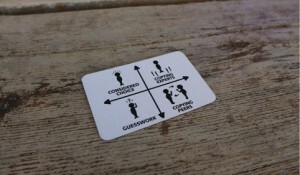 But in creating this new toolkit, have we perhaps forgotten what our users want to get out of it? We’re still using the new toolkit as we did the old – to better describe the characteristics of the singular phenomena we study. What if we took the step up to “kinda”? 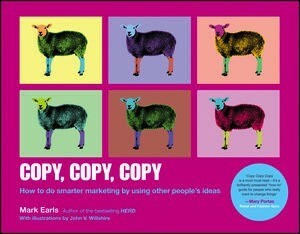 You can buy Mark’s new book COPY, COPY, COPY and/or you can sign up for Mark’s webinar, April 16.